The disgraced former head of Daewoo Group is trying to rewrite the history of the Asian Financial Crisis. “Chairman Kim pursued the growth of his company while always keeping in mind the country’s development… He is a nationalist who managed the world… [Western management style] is inhumane, corporations must examine ways to overcome crises without reducing employment.” These are lines found in reviews of the recently published book titled “Conversations with Kim Woo-jung,” a collection of interviews with the founder of the now defunct conglomerate, Daewoo Group. With a dash of nationalism and populist rhetoric, the book revisits South Korea’s handling of the 1997 Asian Financial Crisis and advances Kim’s opinion that Seoul’s decision in 1999 to dismantle Daewoo because of its high debt-to-equity ratio was a mistake. Estimating the losses from his conglomerate’s breakup at $21 billion, the former mogul lays out the case for how the South Korean people ultimately bore the cost of the government’s error. When asked why he decided to publicize his opinions at this time, Kim answered that he felt 15 years was enough time to prove that the International Monetary Fund and the South Korean government had been wrong. Of course there are more strategic reasons behind this measured response. At a time of economic uncertainty, blaming others while providing populist rhetoric is bound to attract attention. There is precedence for caution and skepticism when approaching works justifying the behavior of pre-crisis business elites. Throughout post-crisis economies, former elites frequently resist reforms and exploit nationalist sentiments to criticize outside influences like the IMF. They often employ slippery slope arguments for how “Asian values” are different from those in the West, bolstering the dangerous notion that prudent macroeconomic practices and political freedoms are incompatible with the respective national cultures of the region. Kim certainly harkens back to the era when political, social, and economic powers were concentrated in the hands of the government and business elites such as himself. He exhibits deep nostalgia for the Park Chung-hee era, fondly remembering the late dictator as a father figure while denying Daewoo had ever contributed funds to the regime. He reserves his ire for South Korean bureaucrats who implemented the structural adjustment programs recommended by the IMF, blaming the failed “Big Deal” with Samsung on their interference and emphasizing the government’s liquidity controls as the key factors that ultimately drove his company into bankruptcy. …its failure was a long time coming. Last year, when the economic crisis forced most of the chaebol to cut back, Daewoo brazenly added 14 new firms to its existing 275 subsidiaries—and this in a year where the group lost a combined 550 billion won ($458m) on sales of 62 trillion won ($51 billion). At the end of 1997, South Korea’s four biggest chaebol averaged debt of nearly five times their equity. But while Samsung and LG cut back during the subsequent year of economic crisis, Daewoo acted as if nothing had changed: it added 40% more debt. Granted, the IMF’s assistance during the financial crisis was inadequate to contain the outflow of capital and the government’s bad signaling exacerbated the chaos. However, the crisis itself had been the symptom of underlying problems that had been brooding for years: the massive inflow of unregulated capital with foreign investors expecting high returns while the country’s non-performing loans reached levels as high as 42 percent of the GDP. 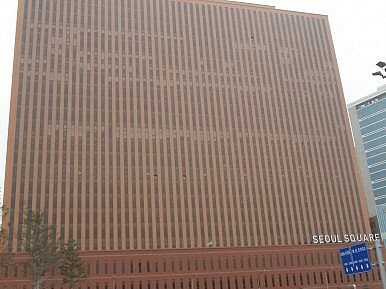 Daewoo Group played a part in pushing the economy over the edge, engaging in fraud and other financial misconduct that ultimately led to Kim Woo-jung’s imprisonment and exile. The timing of Kim’s defense is worrisome because it feeds into the notion that Korea should ignore advice from international financial institutions. This is highly problematic when the country is currently engaged in aggressive monetary and fiscal policies that the IMF feels are unnecessary and potentially damaging. Perhaps the issue is that 15 years was just enough time for the South Korean people to begin forgetting what really caused the crisis. It is high time that Korean academics and the public revisit the issues without veiling the events that created the crisis in nationalist rhetoric.